To prohibit something is to ban it or forbid it. Prohibition is a policy supported by law that prohibits a particular item. Prohibition is most closely associated with alcohol, as the prohibition of alcohol has been a widely discussed issue throughout history. To have prohibition on alcohol is to ban the sale, manufacturing, exportation and trafficking of alcohol, or any combination of these things based on the government policy. 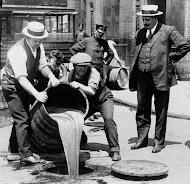 The idea of prohibition has been around as long as there has been alcohol, but the actual enforcement of prohibition was most popular in the 20th century. Despite this, some countries still have prohibition, as well as some small counties and towns throughout North America. Countries with the most notable prohibition eras include the US, Finland and Canada. Countries where prohibition still exists include countries in the Middle East and Northern Africa. 1948: PEI ends their nearly half a decade of prohibition. I need to know info about the author and when this was written, I'm using this page for an essay. does anyone know who the author is or when this blog was written? when was this blog created? is for essay. Noun: 1. The action of forbidding something, esp. by law. 2. A law or regulation forbidding something. Noun: 1. 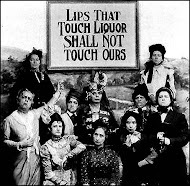 Abstinence from alcoholic drink: "the temperance movement". 2. Moderation or self-restraint, esp. in eating and drinking. Verb: 1. Transfer (a major branch of industry or commerce) from private to state ownership or control. Noun: 1.The right to vote in political elections. Prohibition in Canada occurred at different times in different provinces in the early 1900’s. Prohibition in Canada banned the selling, purchase and manufacturing of liquor. There were various reasons why Canada used prohibition and there were different groups and people advocating it, and those against it. Deemed, Canada’s Noble Experiment, Prohibition didn’t last (in most places) but why?